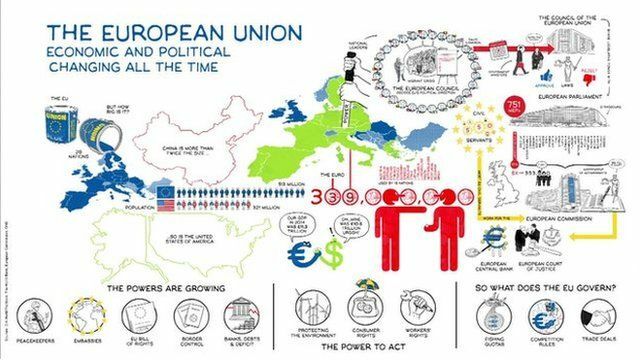 What it says on the tin: EU explained Jump to media player The BBC's Europe correspondent Damian Grammaticas explains the different institutions within the EU, how they work and what they control. The referendum on Britain's membership of the European Union is less than two months away. The BBC's Europe correspondent Damian Grammaticas explains the different institutions within the EU, how they work and what they control.